Goodreads: David Sarac is a handler at the Intelligence Unit of the Stockholm Police Force, identifying, recruiting, and wrangling anyone who can support the police in their battle against organized crime. And David is very good at what he does: manipulation, bribes, and threats—anything goes, so long as he delivers. Other agents can do nothing but watch jealously as his top-secret, high-level informant, Janus, rockets David to success. But after David suffers a stroke during a high-speed car chase, crashing violently into the wall of a tunnel, he wakes up in a hospital with no memory at all of Janus or the past two years of his life. David only knows that he has to reconnect with Janus to protect himself and his informants before outside forces bring the whole network crashing down. Fortunately, he has his supportive friends and colleagues to help him rebuild his life…or does he? Kritters Thoughts: Let me start by saying, I love Swedish mystery/thrillers. I love this defined sub-genre, so when starting this book I was beyond excited. Unfortunately this one didn't live up to the other Swedish mystery/thrillers I have read. 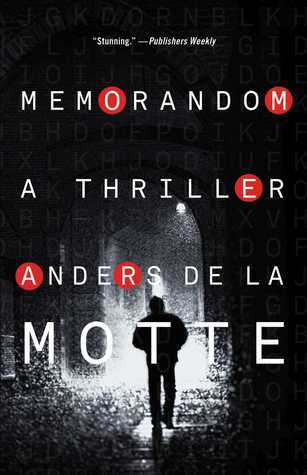 For me, this book had a little too much police procedural and less of the gory crazy drama that I love when it comes to Swedish mystery/thrillers. Don't get me wrong there are dead bodies, but I felt like the body count was low and it was more about the hunt for the truth. I say all of this to say this book was fine. I went into it wanting something very particular and it didn't do it, but it was fine if you like the detective work of other books. I liked that the air of mystery through the eyes of David Sarac with the book beginning as he has a major car accident which takes away a lot of his mind and memories. It was interesting to read chapters through his eyes and discover the clues with him and know from the beginning that he was a semi unreliable character but only because of his injury. This book made me question myself and my answers to the questions often. I flipped and flopped back and forth and I didn't love that I was flipping and flopping. I was correct in the end, but it was frustrating to get major clues that made you as the reader doubt yourself. Tomorrow I will review the second book in this series, so come back to check out if book two redeemed the things that I didn't love from book one.